is about people, place, and sustainability. The OFS student farm is where students put their learning into practice. Through co-managing the ten-acre certified organic farm and raising vegetables, seed crops, cover crops, berries, bees, and livestock, the students experience firsthand what it takes to manage a farm using sustainable practices. We value serving, connecting with, and being supported by our local community! Organic Farm School students bring top quality produce to local customers, and they offer praise, gratitude, and support in return. 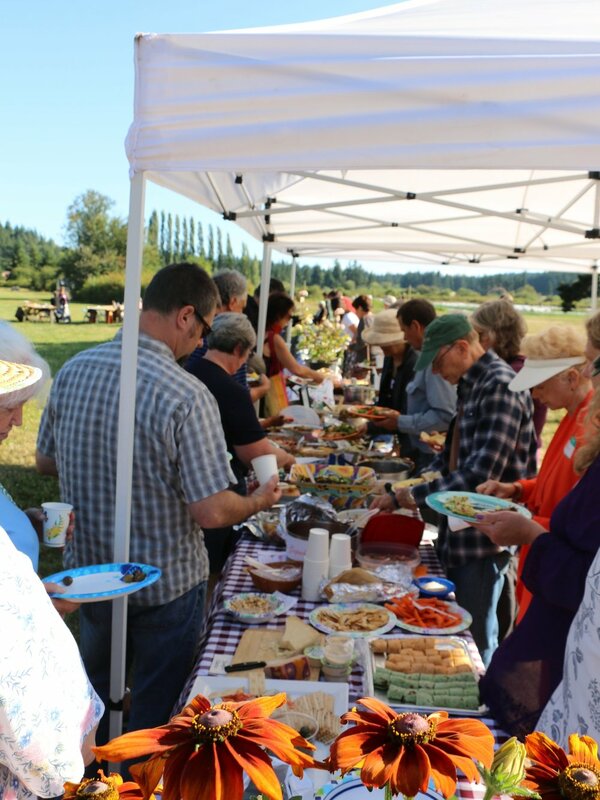 With regular farm tours, potlucks, and celebrations, building a strong community is an important aspect of our farm. Our small staff is focused on providing an individualized experience to each student, supporting their learning goals, and helping them achieve their farming dreams. With years of farming and teaching experience, our staff is able to convey the key skills and strategies that new farmers need to get started.